You know the saying: “when in Vegas….” Well, there’s a Leanna Primiani premiere in Las Vegas, and we’re talking! On August 9th, Primiani’s new flute piece The Black Swan premieres at the 2012 National Flute Association Convention (NFA). A flutist herself, Primiani was commissioned by the NFA for its annual High School Soloist Competition for outstanding young performers. The eight-minute, single movement-work was inspired by the composer’s fascination with birdcalls. 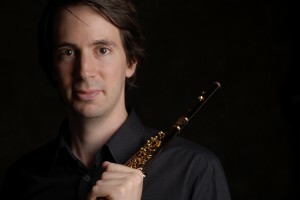 Soloist Aaron Goldman, (assistant principal flutist of the National Symphony) gives The Black Swan its first performance accompanied by pianist Dianne Frazer. Primiani’s other summer activities include conducting performances of standard and 20th-century repertoire for the California Opera. Primiani’s next world premiere comes in October when the Left Coast Chamber Ensemble gives the first performance of her chamber work Holy Order: Shaker Dances.